Parts of this engine were 3D printed using copper alloy materials. All of them survived their first-ever hot fire test, and 18 more hot fire tests in different injector and thrust chamber assembly configurations. The future is so cool. Using copper alloys during 3D printing is a bit more complicated than most materials used for additive manufacturing. The alloys' microstructure and material properties don't necessarily match up with that of typical copper, so scientists had to run it through a series of rigorous materials tests to figure out how it is going to behave in various circumstances. It's exciting to reach the point where the material is well-characterized enough for practical testing, then have everything match theory exactly as expected. The rocket engine was small scale, with the four engine configurations explored different mixture ratios and injector operability points during 19 hot fire tests. The entire test sequence was deemed a complete success, which means the next step will be to build a full-scale engine with 3D printed parts to run through their paces. 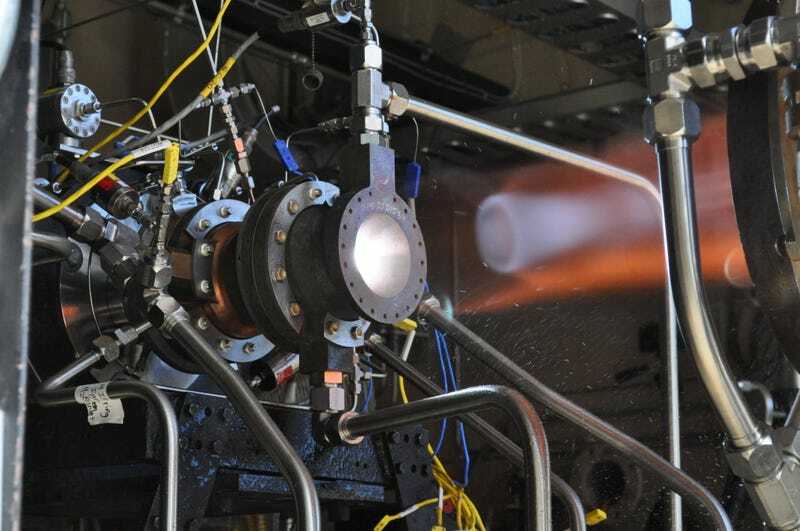 If these tests go well, 3D printing of rocket parts will make engine manufacturing more economical, as well as opening up the possibility of cheaper, on-demand replacement parts. Pair these experiments with the shiny new 3D printer on the space station that arrived in September, and the future starts looking very, very cool.